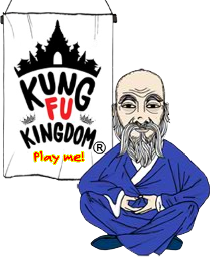 King Fu Kingdom is now here! Some of you may have noticed a change on the webpage yesterday (Hint: Look at the top right). We have launched a new feature called Kung Fu Kingdom where you can earn points and collect belts...all while learning Chinese! Anyone know what a Chinese 'chengyu' is? It's time to find out! Listen to this one. It doesn't matter if you don't understand the Chinese. Follow the English - it is really funny! Check out this video of basic introductions in Chinese! Start putting what you know into practice! Don't worry if you don't recognise all the words - but make sure you look out for the MEMBERS OF THE FAMILY - you know those! What is the Mid-Autumn Festival all about? Everyone seems to know about Chinese New Year... what about the Mid-Autumn Festival?? You will see the English translation but listen out for the Chinese words that you already know! All you need to know about the Great Wall! Watch this short video and learn all you need to know about the Great Wall of China! All this cold weather makes me think we should play an indoor sport! Is Yi Jianlian China's greatest ever basketball player? Check out his Top 10 plays from the NBA in the USA. The great Primary School Chinese magician, Paul, shows how you can change your ruler in a flash!